TECH PITCH PERFECT by First City Monument Bank (FCMB) one of the leading financial services institutions in Nigeria, is a continuation of FCMB’s commitment to developing Nigeria’s tech startup ecosystem. The bank is aiming to use the competition to provide access to market for tech startups, relate its brand in the tech startup ecosystem, and provide solutions for tomorrow, today. 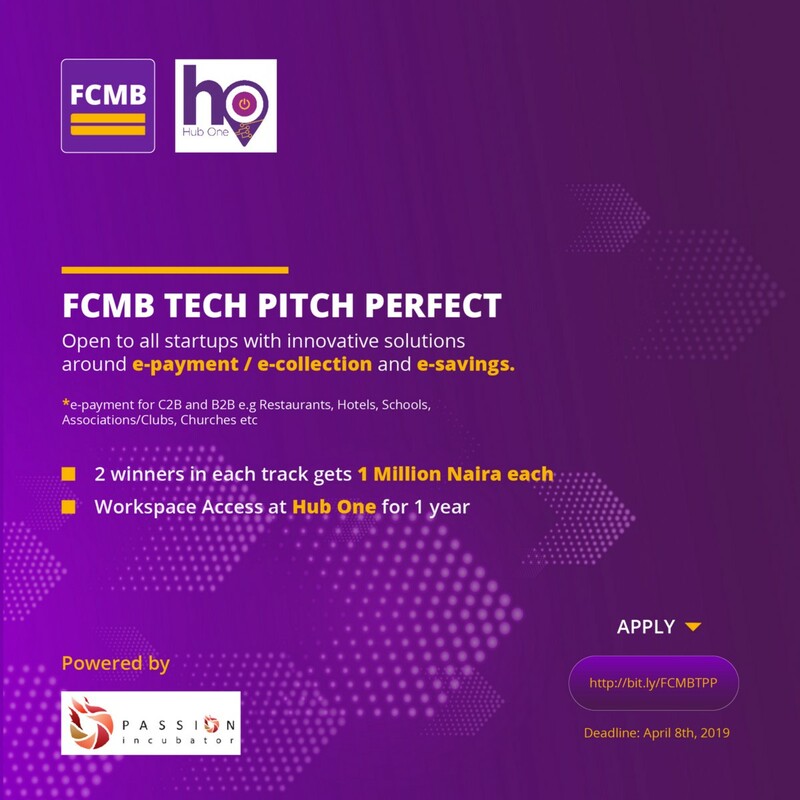 The competition is in partnership with Passion Incubator to launch FCMB TECH PITCH PERFECT in search of tech startups across Nigeria with innovative e-Payment/e-Collection and e-Savings solutions. The e-Payment/e-Collection track is aimed at startups with solutions that allow C2B outlets like Restaurants, Associations/Clubs, Schools, Hospitals and Churches, collect payments swiftly while the e-Savings track is aimed at startups with solutions that encourage savings and investments. Passion Incubator, an early-stage incubator and accelerator with expertise around innovation programs design is in charge of the programme implementation. It is calling on tech startups across Nigeria with solutions in any of the track to apply. 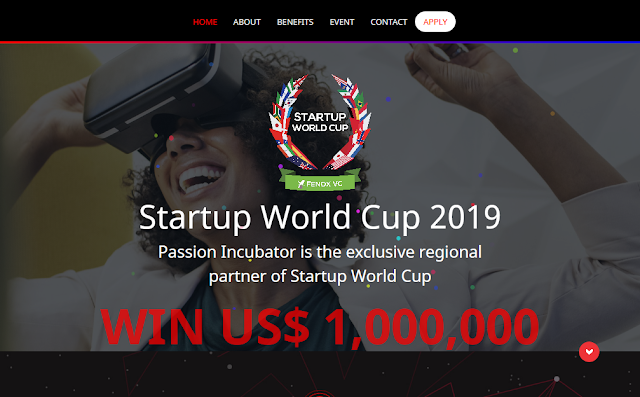 Following the applications phase, 21 startups across both tracks will be selected and invited to a 2-round pitching session with a panel of judges comprising key staff of Passion Incubator and FCMB. From the first round of pitching, the top 3 startups from each track will be selected for the final pitch, where 1 winner from each track will emerge. The winners will receive 1 Million Naira each and get a Shared Coworking Access for a year at Hub One, a new coworking space in Yaba, Lagos launched by FCMB and Leadspace.